It’s a sad story. As ad revenues tumble and newsrooms shrink, so, too, are owners’ commitments to strong, impactful local comment in editorial pages. Editorials lack any clear business model, so they’re vulnerable to cuts. Never mind that a strong, community-leading editorial voice can be a hallmark of our local brand and a reason we are seen as essential in the community. In April, I hinted that I would blog on this subject again soon. 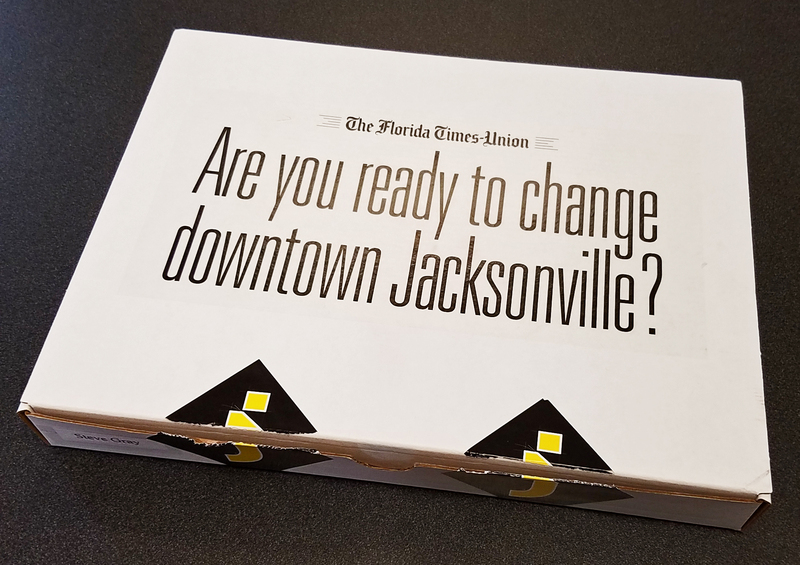 One of the Morris publishers, Mark Nusbaum at the Florida Times-Union in Jacksonville, was working on an entirely new way to amplify his paper’s editorial voice and build a bold new business model around it. But it was still in development. Last week it hit homes and businesses in Jacksonville. The first edition of J magazine, which hit the streets on June 19, 2017. It’s tempting to call it a magazine, but it’s much more than that. 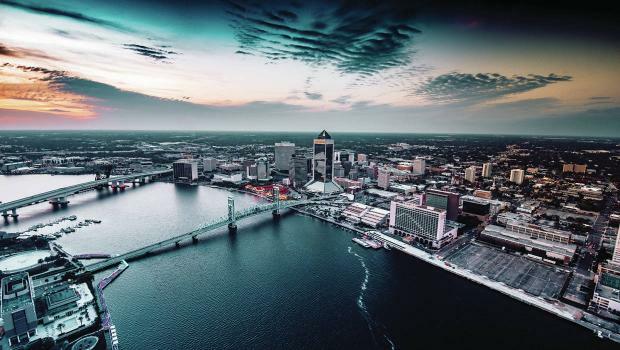 It’s a marshaling of the T-U’s editorial voice and resources around a critical issue that should unite the entire Jacksonville market — the health and growth of its flagging downtown. The new print magazine, J, is the centerpiece, but the project uses multiple channels. And, perhaps most importantly, it represents the Time-Union using its still-mighty editorial clout to unite many leading business and institutional interests who care about the city’s future. “Downtown Jacksonville has been challenged for many years. There’s the stadium [home of the NFL’s Jacksonville Jaguars] at one end of downtown, and that has made a signification improvement. But it’s been a battle to get anything more going. “There are 70 acres on St. Johns River – the shipyards. There’s nothing happening there. The Landing [a riverfront complex of stores and restaurants built in 1987] needs a remodel. “Downtown doesn’t have much vitality and not many living quarters. There’s some traffic for symphonies and plays, but there aren’t many restaurants, not much retail, not much residential. “It’s not a vibrant downtown where you could drop out of your apartment and find good entertainment, good eats, and see people enjoying the city. People come in for the ballgame and leave. And there are some challenges with the homeless and panhandling. I see Mark as a living example of the spirit I described in my April blog. As a publisher, he’s not just running a business. He feels the needs of his community in his bones. He’s determined that the T-U will make a difference in the quality of life, and he believes that doing so can be a crucial success factor for the business he runs. That kind of leadership is written all over this new venture. Mark not only conceived the venture — he made it a personal crusade to enlist the premier sponsors that make it a true community collaboration. Through hand-written invitations, personal phone calls and frank face-to-face appointments with leaders of businesses and community organizations, he recruited most of the 20 premier sponsors himself — both as sponsors and as advisory board members. That personal effort by the publisher, combined with a full-press marketing and design effort by key staff members, demonstrated the T-U’s full commitment to the project. Content is produced, so far, primarily by the T-U’s editorial page staff — veteran writers and reporters. Editor-at-Large Frank Denton heads the content work. “Basically, the ‘editor’ of the magazine is our Editorial Board,” Mark said. Marketing to consumers includes full-page print ads in the T-U, Jacksonville.com banner ads, man-on-the street video teasers prior to launch, radio spots, social media ad campaigns, a web landing page with articles and flip book, a launch email to advertisers and the T-U’s distribution list and signage for the distribution locations. You can see the landing page here, topped by Mark’s impassioned lead-off piece from the magazine. And you can open the flip book version of the magazine by clicking the cover image on the right side of the landing page. 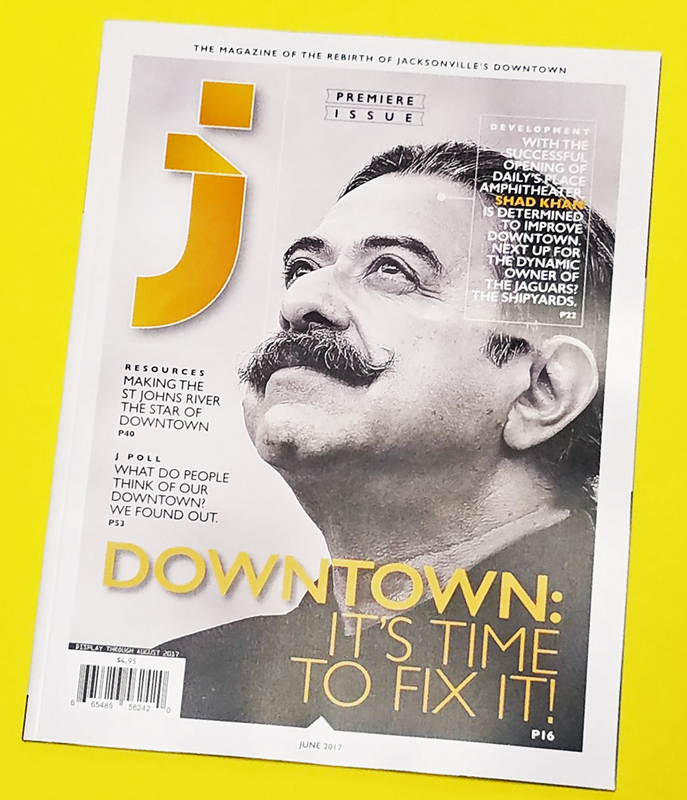 In the flip book, check out the clear focus of the feature articles and the clever graphics highlighting the good and the bad in downtown Jacksonville. This is excellent advocacy journalism — a very different breed of content from what our newsrooms do. One of the most powerful advance marketing pieces was a preview mailing in April (at right). It’s a box about 9 x 12 x 1.5 inches, sent to 200 key community leaders and possible sponsors. The beautifully designed contents — including a personal handwritten card from Mark — announced the magazine and the thinking behind it. Contents included a J magazine prototype and a glossy 12-page booklet clearly outlining the proposition, from the purpose and concept of the magazine to the details of the premier, platinum and gold packages, priced at $20,000, $12,000 and $8,000. You can see the booklet here: Partnership proposal. See Page 11 for the details on the partnership packages. Mark said the selling has gone well, “but it’s a work still in progress. I limited it to 20 premier sponsors, 20 platinum and 20 gold. All 20 premier sponsorships sold out three weeks ago. We’ve sold a number of platinums and golds, and I expect the rest to sell out as soon as the magazine hits the street. “I made about 27 calls to targeted businesses. I closed more than 70%. The Jaguars were first in.” Mark said Shad Khan, owner of the Jags, has been an open advocate of downtown development and was immediately enthusiastic. “I called on a cross-section of leading institutions and businesses, including hospitals, medical institutions, higher education and some retail. Premier sponsors get seats on the Advisory Board. Mark said, “That group will have the opportunity to review plans for future editions, and we will get their reactions to the first edition. We will be open to their ideas on stories and Information they have that they might be able to share with us. “The decisions about stories will belong to us [the T-U], but their input will be very helpful. Another key player on design and concept was Jeff Davis, creative director at the T-U. The beautiful designs of the magazine and the marketing materials were his. “Another dozen really liked the concept, were enthused and believed it was needed. But they wanted more feel for the content. They didn’t want it to be just another feature magazine. They wanted it to have an edge, make a difference, take on tougher issues, like safety, development, finance and taxation. “The first issue is probably about break-even. We used a lot of internal borrowed resources. When we get all 60 sponsorships, that’s $800,000 a year, and we’ll have other advertising outside the sponsorships. “I’d like it to be a million-dollar business in the first year, and we will get digital opportunities, too. Money is only part of the picture. “If we make a few bucks, great. But it’s the right thing to do for Jacksonville. And for this brand, Times-Union Media, to step forward and drive a stake in the ground — this is huge. I couldn’t agree more. This is the kind of moral and civic leadership that few institutions in any community can provide. But newspapers still can, if they will step up to the opportunity and the responsibilities. And it can contribute revenue and profitability. As I see it, J magazine is a creative and bold extension of the traditional newspaper’s editorial advocacy role. It creates new business models and new collaborations with individuals and organizations who depend — as we do — on the health and vitality of the community. Can the idea be reproduced in other markets? I think so, although it will take wisdom and imagination to choose the right issue to attack. Is it the health of the downtown? An urgent need for medical care? Recruitment of major employers? Different communities have different needs, and a venture like this can only work if there’s a strong shared sense of the need in the community. And, whatever the issue, a project like this will take serious commitments of time, leadership and resources from the publisher and others to pull it off. For those who can do it, there’s a win to be had — for the media company, for local businesses and institutions and for those who live in the community. Posted on June 27, 2017, in Advertising, Audience, Content, Disruption, innovation, Journalism, leadership, Magazines, management, Media business model, media management, Revenue, Sales. Bookmark the permalink. Leave a comment.